Last year, I shared how Devin and I still make our Friday date nights happen with baby Aiden tagging along as the cutest third wheel ever. 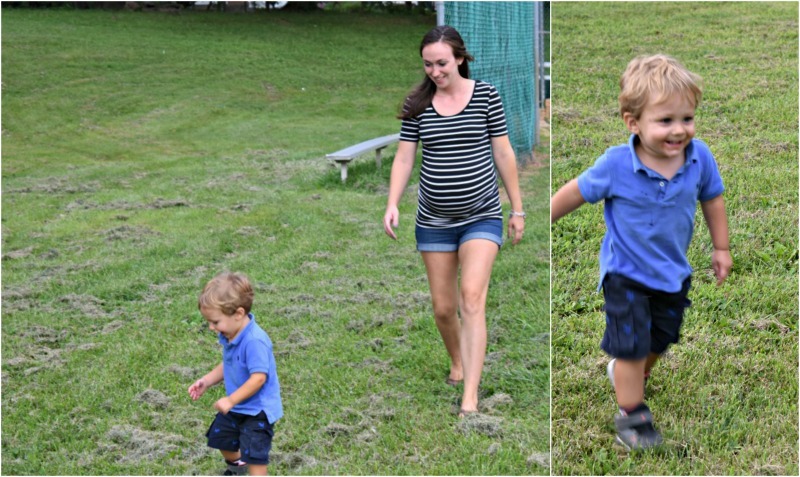 With Aiden at a year and a half, he's way more active and wants to be running around instead of strapped into a high chair at some cute dinner spot. 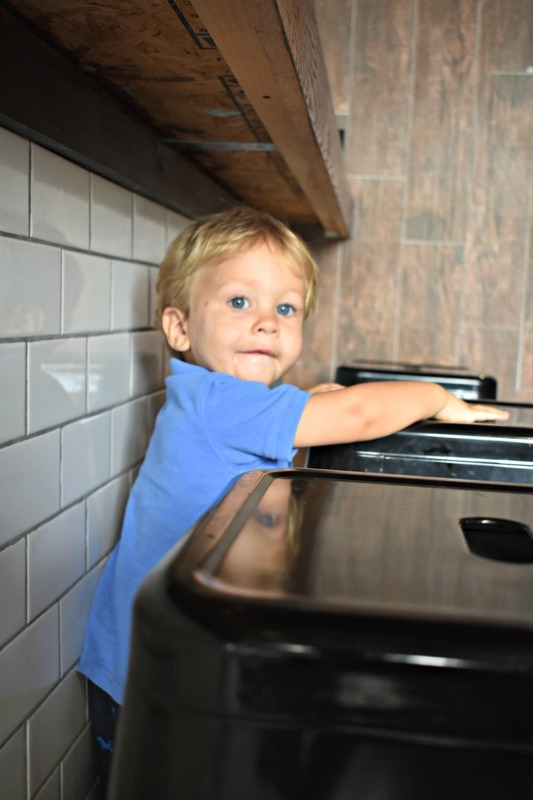 Sorry to all the people who have listened to Aiden express himself at high decibels that no, in fact, he would not like to be in the baby-jail of a high chair and that he'd rather be throwing things/running/squirting condiments and sugar packets everywhere. I know, I know. We're terrible parents for not letting him pour ketchup on the table. Graciously, my mom has sacrificed manyyy Friday nights to babysit Aiden so Devin and I could go out, but even the world's best Grammy needs a break and hiring a babysitter isn't always an option!! 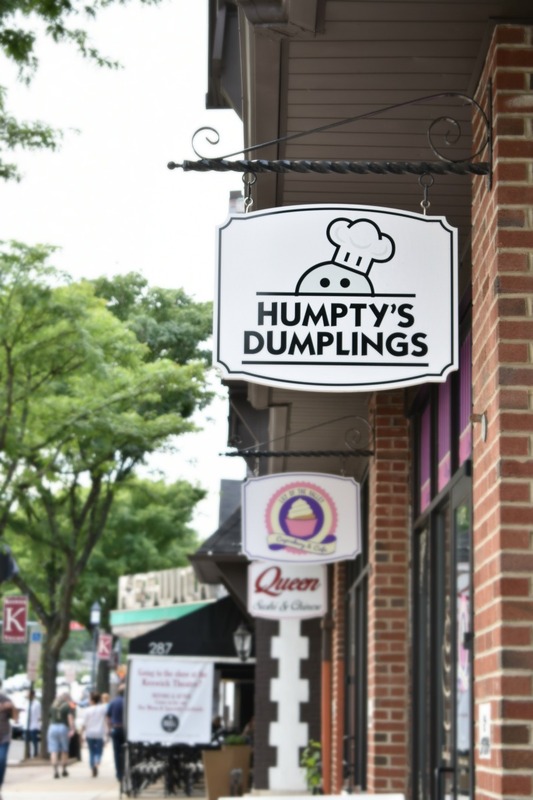 Recently, we went to the local Humpty's Dumplings, got takeout, and ate in a park (hence all the pictures, haha! ), and it worked out PERFECTLY. 1. Outside restaurant. 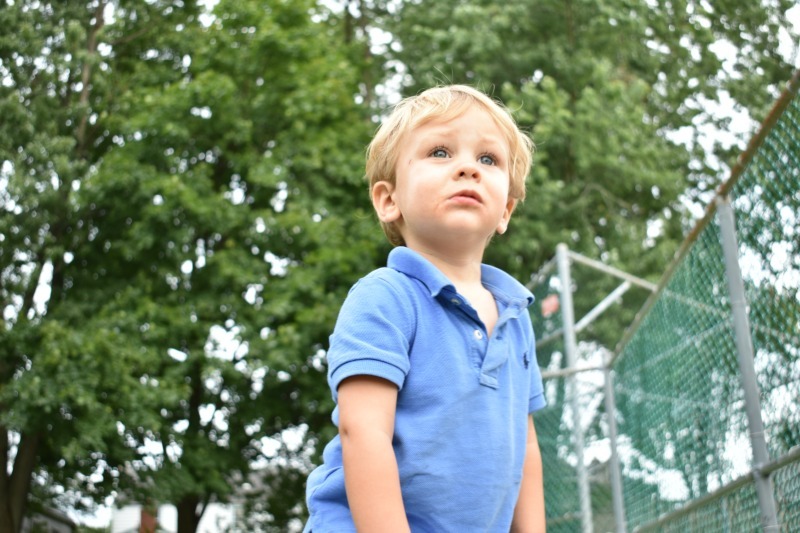 The noise a kid makes won't be as big a deal when you're outside! 2. 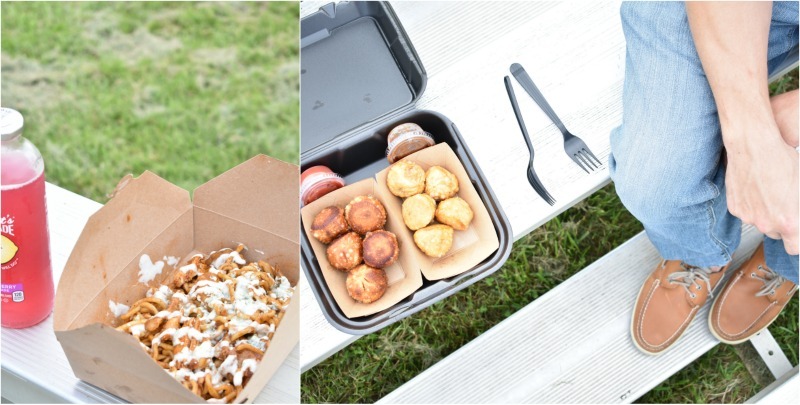 Takeout + a park. Good food, and space for the kids to go wild. 3. Explore a new part of your town/city. The toddlers can walk around with you, or hop in the stroller when they get tired. 1. Weep for your lack of good fortune. 2. Invite friends over for a game night or make-your-own pizza date night. 4. Visit your local bookstore. Ours has a kiddie section of toys and books that Aiden can enjoy, while Devin and I take turns perusing the store for more interesting literature besides "The Hungry Caterpillar." 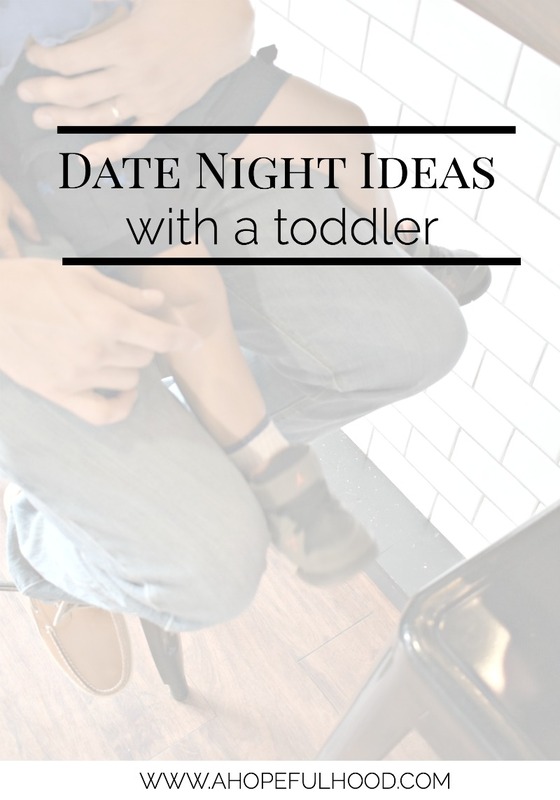 How do you make date nights happen with kids? 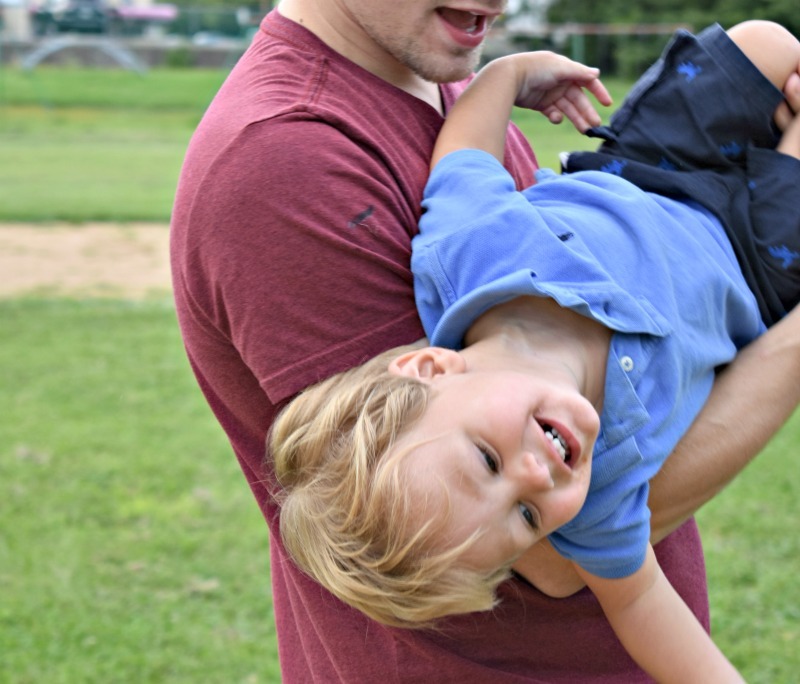 Whether you've got kids or not, check out these suggestions for brainstorming a date night activity.